Just simply to keep my lettuce crisper longer. badly needed mine are wearing out and breaking down its time to replace. My sister has one and swears by it. I'm hoping that it will help me as well. Hard to find - haven't had one for years. I’ve been looking for one for years!! I have one of these. I'm getting this one for a friend. Need a new one ,so hope it works. I have one and my granddaughter wanted one. The lid does not fit on the one you sent me therefore it doesn't seal. Because it keeps my lettuce good. I had a lettuce keeper from Tupperware and a house guest thought it was microwavable which warped the bowl so the lid didn't fit and seal correctly. I have missed that bowl SO MUCH!!! Ten out of ten for sure! 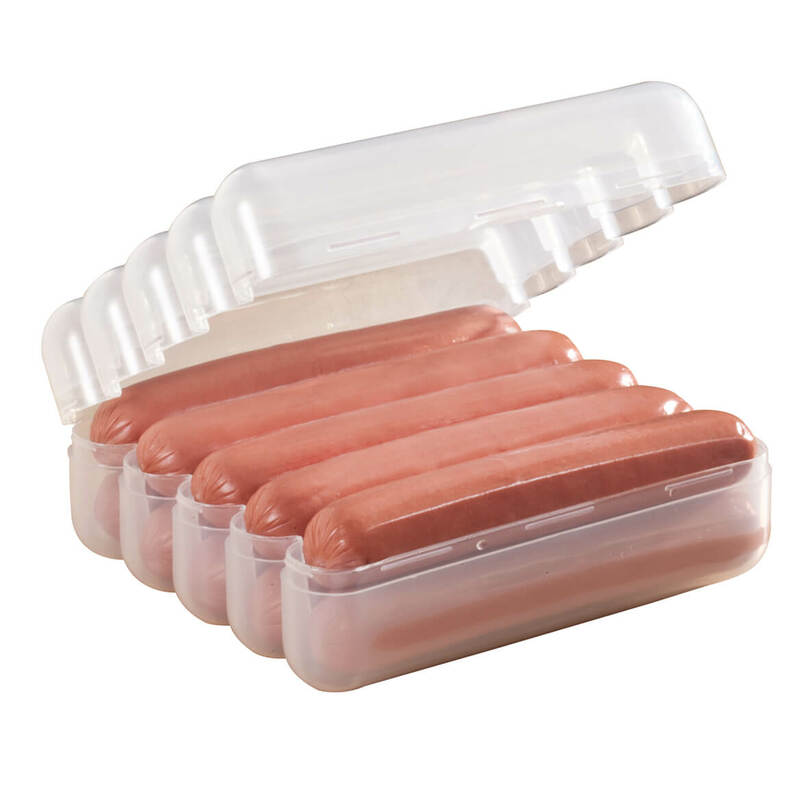 Works as well asTtupperware at a much better price. Keeps lettuce great. Needed another one for new residence. 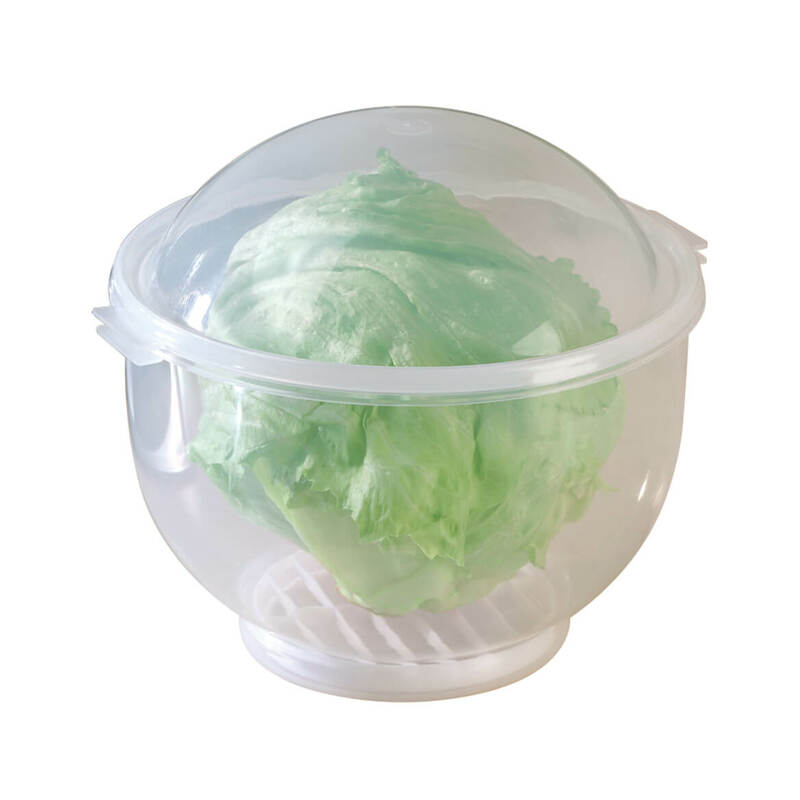 This product is the best lettuce keeper EVER! I've used this lettuce keeper for years and years and it's the perfect container. I wouldn't use anything else! The lettuce stays a lot fresher. Hoping it will keep my lettuce crunchy. Will keep lettuce fresh 3 times as long. I have this Lettuce saver and just love it. It keeps my lettuce good for a month if not used by then. I’m purchasing 2 for gifts 🎁 my daughter and granddaughter came to dinner not to long ago and seen me get my lettuce keeper out of the refrigerator and I was telling them how well it keeps my lettuce fresh. They said they wanted one and where did I get it . I forgot where I got mine but seen it advertised on Miles Kim so I ordered 2 for each of them . My husband asked for this, and I like the domed top. 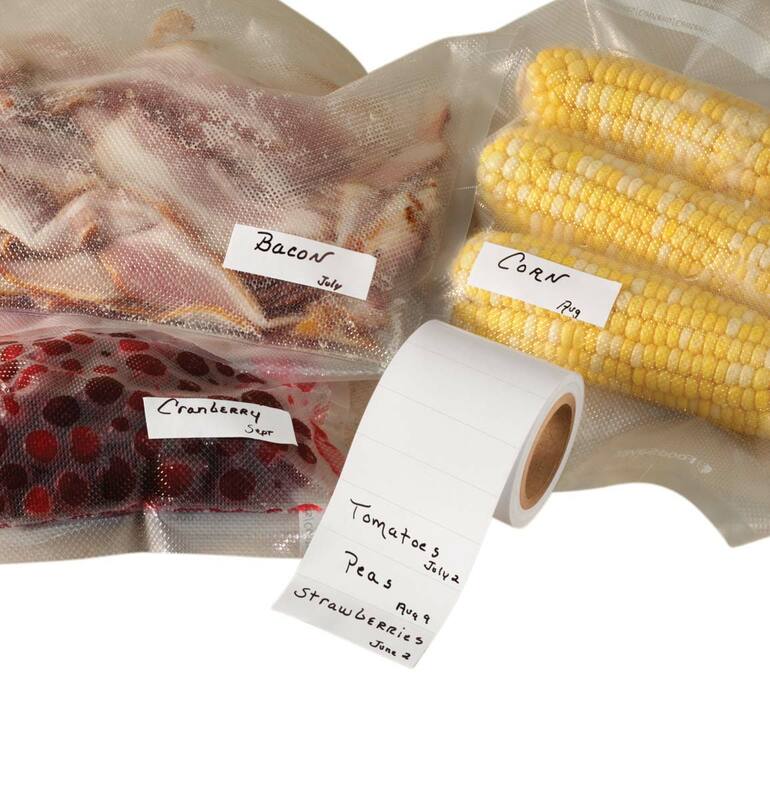 It keeps your lettuce crisper longer than a plastic wrap would do. Had one years ago. No longer have. Have been looking in stores for weeks and no luck. Tried your website and you had it. Decided to buy it. To keep the lettuce fresher longer, however I end up not using it because it won't fit in the vegetable compartment and takes up too much room on a shelf. I MISPLACED THE ONE I HAD. Tupperware but reviews are all good for this guy. It s the best way to keep lettuce fresh. 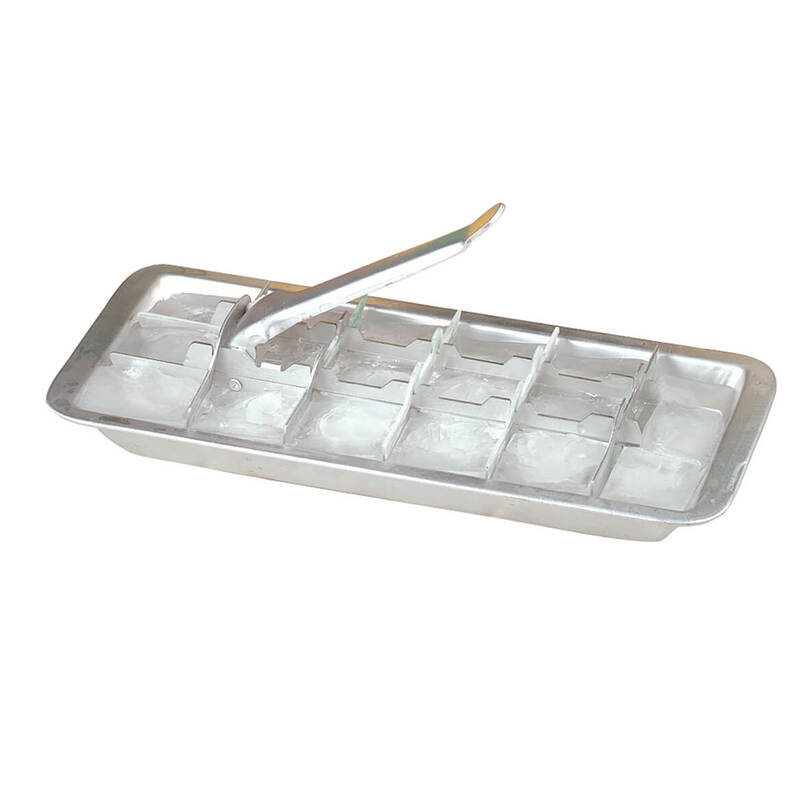 Does this fit in most vegetable crisper drawers? BEST ANSWER: Thank you for your question. This item measures 7" x 8" and suggest measuring your drawer before purchasing. We hope this information will be of help to you. No, but it doesn't need to! Put it on a shelf, even top shelf, and it is fantastic! 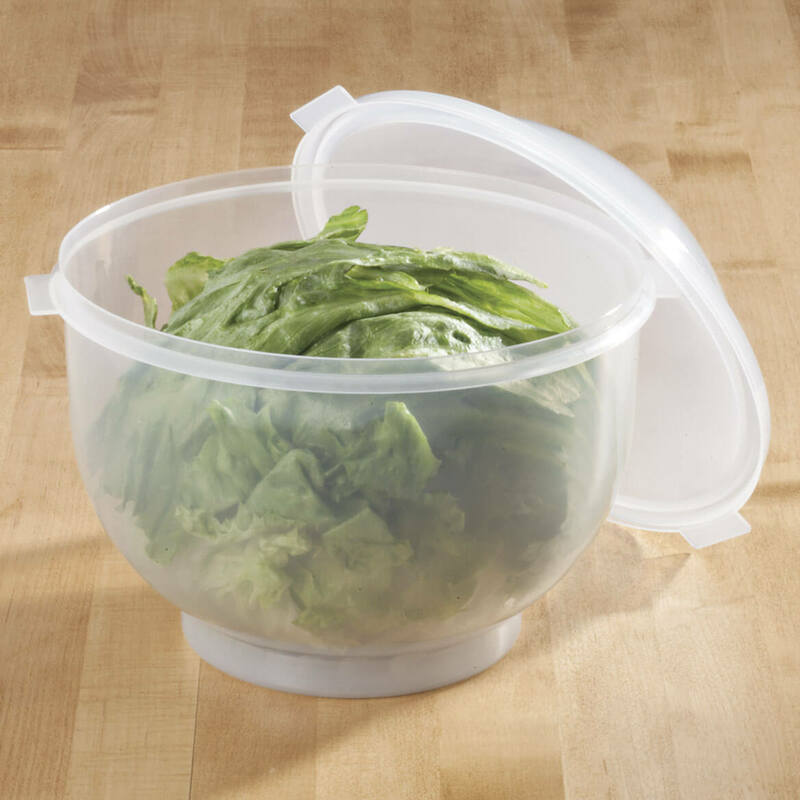 It keeps lettuce fresh and crisp for much longer than a crisper drawer! This crisper does not fit In refrigerator drawer however, it keeps lettuce crisp and fresh and I keep it on a shelf. It is a useful item to have. Any head of lettuce that I have bought fits in the crisper very nicely Also it keeps my lettuce for at least two weeks. I love mine. 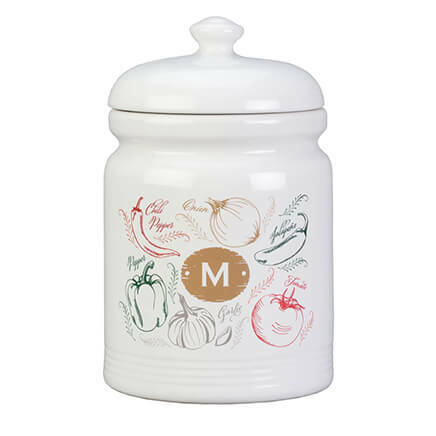 It fits in my vegetable drawer, and leaves a small amount of room for small vegetables around. the sides. Don't know. We keep it on a regular self. Works great. Keeps lettuce 2 to 3 weeks longer than without. I have an older refrigerator and it fits perfectly in my drawer. NO, I have to just keep mine on a shelf. Does not fit my crisper drawer. No it is way to big for that! No. I don't really like it. 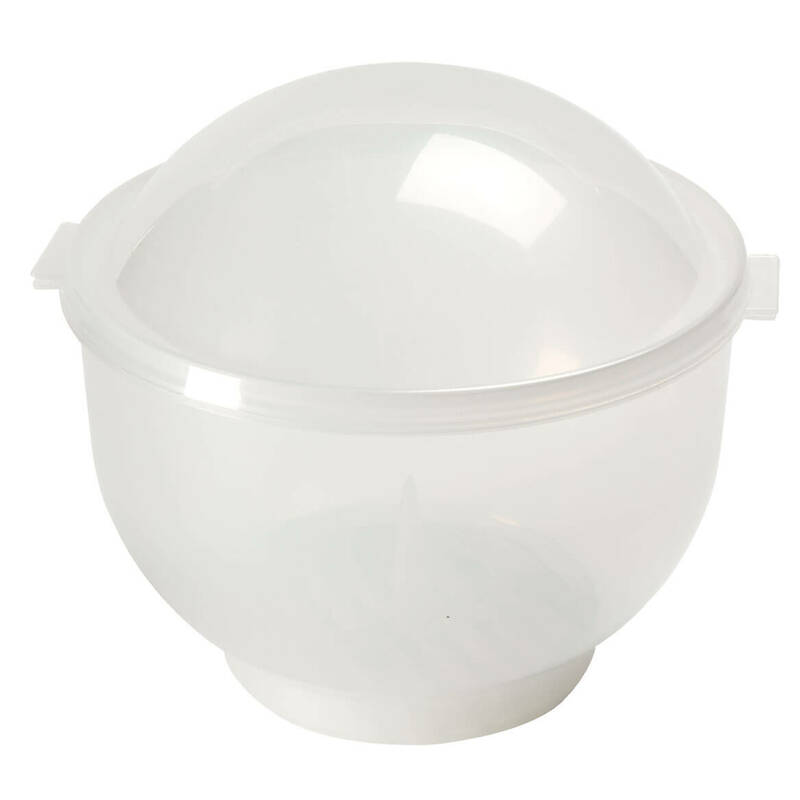 Do you need to remove the core to store the head of lettuce in this? BEST ANSWER: I believe the instructions say to remove the core....we always do so the head fits better in the container. Although the keeper takes up a lot of space, it does keep the lettuce fresher much longer than a Ziploc bag. Hope this helps you. It is recommended you remove the lettuce core so it will fit on the bowl insert. I do not use my lettuce keeper as it will not fit in my refrigerator - it is too big. Core is removable and can be used with or without the core. No you don't have to remove the core but it's suggested. No, you do not have to remove the core. 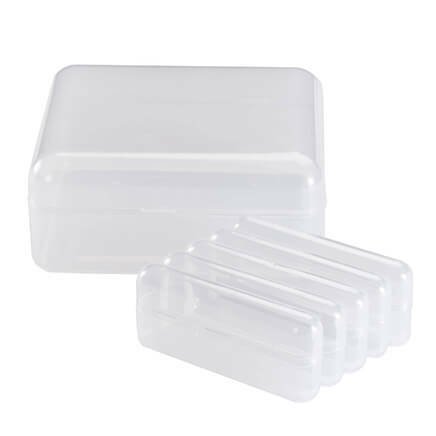 How does the lid seal tightly? BEST ANSWER: It does not seal tightly, but is secure. It does keep the lettuce so fresh that it is amazing. I had one of these years ago and decided that it was not necessary and gave it away. Then I suffered with lettuce turning brown and going bad in a few days. I finally ordered this and could not be happier. The lettuce says crips and green for a couple of weeks! The lettuce keeper does close tight but it isn't like the snap shut ones. It does keep the lettuce fresh longer. HD. My lid doesn't seal at all, but I've had heads of lettuce last for 2 weeks or more. This bowl is AMAZING! Is the Lettuce Keeper 7" tall or 8" tall? BEST ANSWER: 8" tall with the lid on. I do not use it because it is too big to fit in the refrigerator except on the top shelf. can lettuce crisper be ordered by phone? BEST ANSWER: Thank you for your question. We do take orders through our website and over the phone. If you would like to phone in your order you can do so at 1-800-546-2255. We hope this information will be of help to you. Can you order a reservoir spike separately for the lettuce keeper? BEST ANSWER: Thank you for your question. Unfortunately we do not sell just the reservoir. We hope this information will be of help to you.